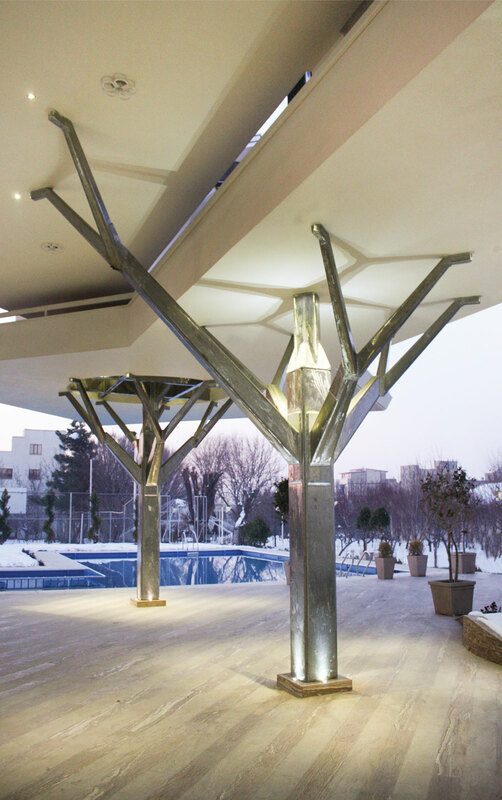 The 3rd Dimension of Design 3DD is an architectural holding firm that was founded in 2001 in Tehran with the aim of activity in the fields of architectural design, construction and manufacturing of customized pieces of furniture along with merchandising and marketing some state-of-the-art raw materials to meet local architectural requirements. The company achieved to obtain an exclusive distributing of Acrylic sheets of plexiglas® from a popular German-based company called EVONIK® Ind. which used to be known as DEGUSSA® that is considered as the second largest chemical manufacturer in the World. Although, we have granted numerous exclusive licences for importing and distributing architectural materials from other developed countries including SPAIN, ITALY, etc, the plexiglas® has remained as the most strategic product to us and plays a significant role in our projects. 3DD Group as a parent company involves two other main subsidiary companies called REFAH SHAFAGH NILGOON Ltd. and NOE SEVOME MASALEH Ltd. which are devoted to enterprising and construction purposes. Over eighteen years experience, we were lucky enough to contribute with oodles of administrative organizations, big overseas and local companies and the vast variety of private clients including Milad Tower, Azadi Cineplex, IKIA Airport, Yaftabad Furniture Market, Iran Mall, Busch, AEG, LG, Tehran International Fair, TAM Iran Khodro, Mehdi Tools, Arian Industries, Sina Tile Co., 􀀁..JI Export Development Bank, Killer loop, Diesel & Okley, Asaluyeh Zone etc.